The Revival offers a slightly more contemporary feel. Dental molding may be omitted to further modernize the style. 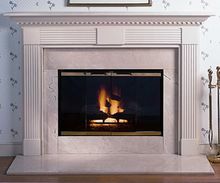 Mantel opening width 48", 50", 54"